If only I had a Montblanc Writer’s Edition Ernest Hemingway fountain pen to pen this with! 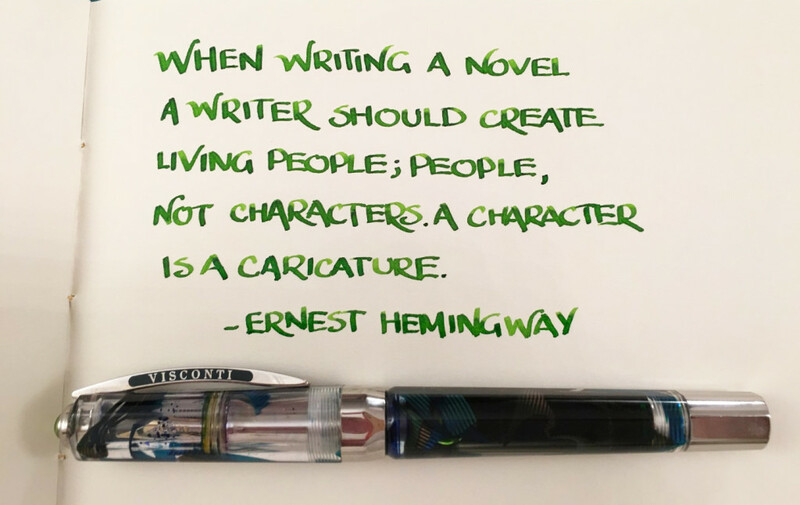 This entry was posted in Vintage Pens and tagged Ernest Hemingway, Handwritten, Handwritten Post, Quote. Bookmark the permalink. Follow any comments here with the RSS feed for this post. Post a comment or leave a trackback: Trackback URL. Why is a Mont Blanc-created fountain pen with Ernest Hemingway’s name on it so outrageously expensive? The pen has no connection, past or present, to Papa Hemingway and all it is is a Mont Blanc fountain pen. The wonders of creative marketing at work.